A research by academics at the University of London has revealed a new form of abuse meted out to South Asian women by their NRI husbands – transnational abandonment. The research focuses on India-UK and highlights how the patriarchal mindset combined with the legal vacuum due to immigration policies encourages NRI men to grossly violate the rights of their spouse and get away with it. What should we understand about transnational abandonment of South Asian women? Women, whose husbands take them to the UK for a short time after their marriage, exploit them for various reasons, send them home on the pretext of a holiday and confiscate their visas. The men would then initiate ex-parte (for the benefit of only one side) proceedings in their country of residence after their wives visa expired, often without telling their wives or despite the wives not wanting a divorce. Women, whose husbands spend some time in India, use and abuse their wives for various reasons, and then depart to the UK, never to return. The hapless women receive ill-treatment from the in-laws and are looked upon as slaves. The in-laws finally throw them out. Women subjected to this form of abuse usually hail from Delhi, Gujarat and Punjab states where it is common to have women married off to Non-Resident Indians (NRIs) from UK and other Western countries. Women from Bangladesh, Pakistan among other countries also suffer this form of abuse. In most cases, a woman abandoned in India is suddenly thrown in a hostile environment which comprises poverty, destitution, isolation from family and society, unemployment. Unawareness of legal rights isolates them from financial settlement, child support payments, and even separates them from their children after divorce. In 2008, the National Commission for Women estimated 25,000 women were abandoned after a transnational marriage. This works out to 20 percent of transnational marriages ending with the abrupt abandonment of women. What is worse, women’s organizations and media reports suggest this is a growing problem. It happens to women from rich families – husbands and in-laws expect unlimited dowries even after marriage – and from poor families – these families are unable to meet the demands. There are exceptions as shown in a film by Catrin Nye. 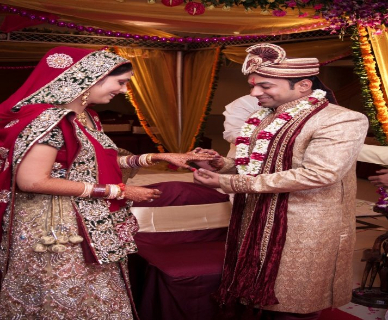 Here, a husband seeks the help of an immigration lawyer on how to deal with abandonment by his NRI wife settled in America; she was forced into the marriage. Dr Sundari Anitha, from the School of Social and Political Sciences at the University of Lincoln, whose research brought this issue to light said the main reason men do this is because they can easily get away with it. Immunity. Most women do not approach the police or seek legal assistance. Even for the few who do, the chance of getting justice on par with the abuse experienced is nil. The husband – one of the main perpetrators – is not held accountable in his country of residence and cannot be punished in India unless he comes here. Abhorrent practice of dowry in one form or another ensures the groom and his immediate family members make a fortune during the wedding. This temptation itself induces men to get married the second or third time. Strict immigration rules prevent women who could seek help from doing so. Researchers interacted with a woman who said her husband – without her knowledge – had brought her as a visitor, not his wife. Her period of stay had expired and she would be considered an illegal. This left her utterly helpless. Immigration policies make it hard for married migrants to access their rights and this fuels the system of abuse by tilting the power greatly in favor of the NRIs who in a majority of cases are men. Patriarchal upbringing that glorifies tolerance in a woman and blames her for a failed marriage means that husbands and in-laws can take full advantage of the woman’s plight and not be held accountable. Vulnerability of women. The patriarchal culture in which these women are brought up makes them pliable and afraid of being assertive. 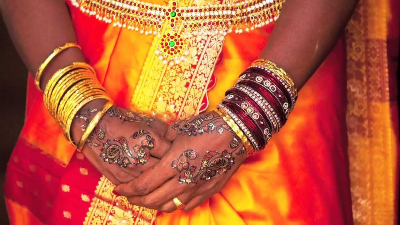 The girls are at a perceived disadvantage due to factors like age, skin color, divorced status, defects in the horoscope, etc.So their parents barely seek necessary information such as marital status of the groom, visa/passport status, address, job and salary. Instead, the sole aim is to get through the marriage as fast as possible. When has positive change happened in the past? Another form of transnational abandonment was abandoning the wife to fend for herself in U.K. This could either mean the husband and in-laws simply threw her out of the marital home when their needs were met or they had found a better substitute, or rarely the wife fled home unable to bear with the torture any longer. The misery of these women has somewhat abated due to policy changes to accommodate their basic needs. Before 2002, these women were deported to their native countries where they once again faced victim-blaming and abuse for not being a good wife. Women’s organizations took up the cause of women abandoned this way and the Labour government passed the Domestic Violence Rule in 2002. These changes enabled women to apply for Indefinite Leave to Remain (ILR) in the UK. This gave them access to public funds – job seekers allowances and benefits exclusively for British, EU and EEA citizens – theoretically. But in most cases women are unaware of this provision and neither do police tell them. Further, women with insecure immigration status (who haven’t applied for settlement or whose period of temporary stay has expired making them illegal citizens) could not apply to avail public funds while they applied for ILR. 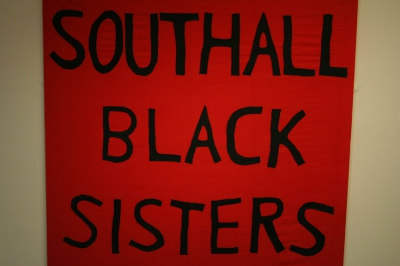 Southall Black Sisters and other organizations campaigned to bring about the Destitute Domestic Violence Concession in 2010. This enabled women to access benefits to a limited extent during the ILR application process and waiting period. Where are the elements of patriarchy in this form of abuse? Marital rapes and sexual relations that are always controlled by the husband. Women were treated as objects of sexual gratification – whenever and wherever the man decided – irrespective of their choice. Forced abortions were more likely when the woman was pregnant with a female child. The woman again had no choice – their husbands and in-laws decided whether she should keep the child or not. Men actually believed they can be excused for “marrying to satisfy their parents and produce a grandchild” even if they were homosexual. A few men had mental disorders which their families believed would be ‘cured’ by the lady he married. The woman came to know of this only after marriage and was blamed when she could not rid her husband of his disorder. Women were treated like unpaid servants and humiliated in several ways. Wives who went abroad were demanded to change their appearance and mannerisms to match with Western women.Husbands brought home women and at times men and had sexual relations with them in the presence of their spouse. Women who reported sexual abuse by their fathers-in-law to family members were mostly disbelieved and disgraced. Usually women and their families always made at least a first attempt to compromise – through catering to financial or domestic demands.Even lawyers and police recommended amicable sorting out of differences. This fuelled the man and his family to keep asking for more. Women could not ask help during the period of abuse because they were likely to be told to accept it as normal. Even the few women who have got jobs and can support themselves and their families usually keep their abandonment secret for fear of social isolation. The very basis of all this – girls are a burden and women are considered fortunate if they can find a foreign-settled husband or any husband to take care of them – reflects the patriarchy ingrained in our society. Whose exceptional story should be admired? Though her story was not one of transnational abandonment, it needs to be mentioned – unfortunately as an exception – due to the similar circumstances. Asma is from a poor family in Bangladesh. Her family had to relocate to Dhaka as their floods destroyed their family home in Bhola. A 27-year-old man sought 15 year old Asma’s hand in Dhaka without mentioning dowry. Her parents agreed and soon after the marriage the abuses began. In five months he abandoned her in a slum. She moved back with her family and despite dropping out from school at the age of ten, soon found employment. A newly opened garment factory took her in as thread cutter; and worked long hours for low pay. Her earnings however exceeded what her parents could make and she took on the role of bread-winner for her family – mother, father and younger brother. Though she says her husband is dead when asked, in other aspects, she has decided to start afresh. She is ambitious and found support among her colleagues – who encourage her and share her sorrows. Though we should admire Asma for her courage and determination, one should not stop at that. Even in her case, the patriarchal mindset hindered her from reaching greater heights. And though more women are reclaiming their identity post abandonment, several of them are victimized for life. How should the problem be dealt with? Women are abandoned in their native countries by their husbands who in doing so circumvent the Domestic Violence (DV) and Destitution Domestic Violence (DDV) rules. The immigration policy should recognize these women as victims of domestic violence as well and enable them to claim benefits accorded to domestic violence victims residing in UK. Women should be able to initiate criminal or civil proceedings against their husbands/in-laws in UK itself. They should be equipped with temporary visas to do so. The Immigration Act 2014 allows other human rights violations to be appealed in court. For domestic violence however, the Act does not permit the victim to appeal and she must seek an Administrative review instead. This exclusion needs to be cancelled. The British embassies must provide women immigrant by marriage an easily accessible and understandable list of their rights and entitlements such as the right to protection at the time of visa application. Divorce applications when one party is present should be scrutinized carefully. Divorce involving spouses from abroad should be heard by High Court. Procedures for remote participation of spouses, if abroad, should be instituted. Formalize agreements with countries whose people constitute a significant part of UK’s population. This should enable enforcement of legal decisions dealing with divorce, support, maintenance, residency and contact with children in contexts of overlapping jurisdictions. Equip the judiciary with knowledge and awareness of the cultural practices common when South Asian women marry a man from UK – dowry, gifts etc. and also sensitize it to problems commonly faced by divorced women from abroad. Police should initiate criminal proceedings against perpetrators of domestic violence in their country. Ensure all states follow Punjab’s example – record passport number and details of non-resident spouses at the time of the registration of marriage. Make registration of dowry/stridhan (articles to be returned to the girl in case of divorce; these include all movable and immovable property she receives before, during and after marriage, from parents/husband/in-laws) mandatory alongside registration of marriage. Selection of organizations to legally/financially assist abandoned women under the Ministry of Overseas Indian Affairs needs to be transparent and monitored to ensure effectiveness. Formalize agreements with countries housing a significant Indian population for enforcement of legal decisions concerning divorce, support and maintenance. If a woman’s husband seeks ex-parte divorce abroad and is granted it, she should be able to use that as a basis to seek divorce in India. The absence of this provision traps women into a situation which does not allow them to initiate divorce without their husband’s presence and participation. Spreading awareness should be taken up seriously and people need to understand the importance of registering marriages.